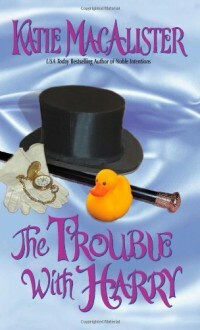 Answering an advertisement for a wife, Plum just may have found the man of her dreams in her new husband Harry, a titled aristocrat and former spy, whose dangerous past and mischievous brood of children make her life delightfully chaotic. No where as good or funny as Noble Intentions. Had a hard time finishing this book but will not give up on her as a good author! Barely made 4 stars; little gaps in the story that I would have like fleshed out, but parts were very funny! I loved this book. Laughed throughout the whole thing and am crazy about the characters.